The Mason-Dixon Line got it's name from two English astronomers, Charles Mason and Jeremiah Dixon who were hired to settle a boundary dispute between Pennsylvania and Maryland in the 1760's. Years later, the border they drew ended up becoming the boundary between free and slave states. Thus, the South got its nickname - "Dixie." Few items have become more commonly associated with the American Cowboy than that humble piece of cloth affectionately referred to as the BANDANA. Whether in folklore or as equipment for today's urban "range hand," this paisley-print, red fabric is more funtional than just as a wardrobe accessory. The Bandana and the paisley pattern both have their origins in India then quickly became popular throughout England in the 1800's. The first red dyes were uneven and faded easily and European manufacturers didn't get red dyes perfected until about the same time period. Therefore, most bandanas prior were often blue, brown, gray or black. However, paisley remains a common pattern for today's bandanas. 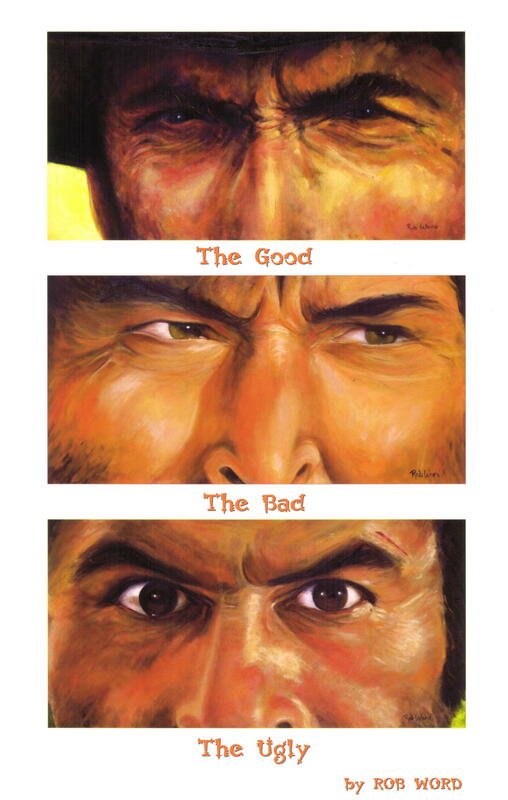 Hollywood fictionalized their use as only color around the hero's neck or worn just under the cold eyes of an outlaw. 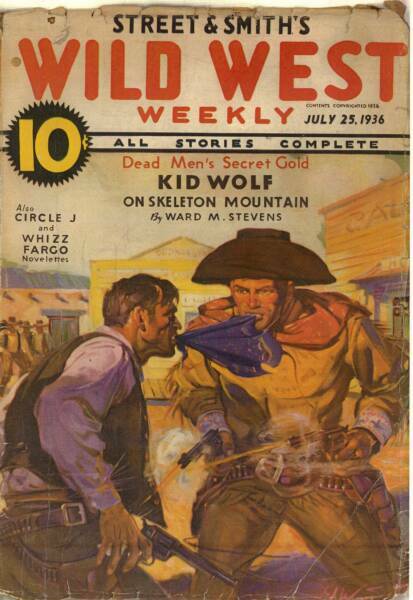 But, in real life, the cowboy would pack several bandanas for a variety of uses and much more than just for protection from nature's elements or whatever threatened to bite, burn or scratch him. On the trail, tie one around the horse's legs to hobble him while you fix your equipment with another. As a strap or lace, it can mend a rein or create a makeshift stirrup. Around the campfire, it came in handy to grab a skillet's handle, or if your coffee was strong enough to float a pistol, use it to strain the grinds as you poured yourself a cup. In an emergency, whip up a tourniquet, cover a wound, set a splint or make a sling. A warm, damp bandana soothes a sore neck or one can serve as a sweatband. And, if properly snapped approximately one inch from the "behind," it is a great motivator for either man or beast. The Dog Days of Summer is not based upon an Indian legend as some think. The Roman's believed that Sirius - The Dog Star - added to the heat of the sun greatly from July 3rd to August 11th, creating the Dies Caniculares - The Dog Days of Summer. 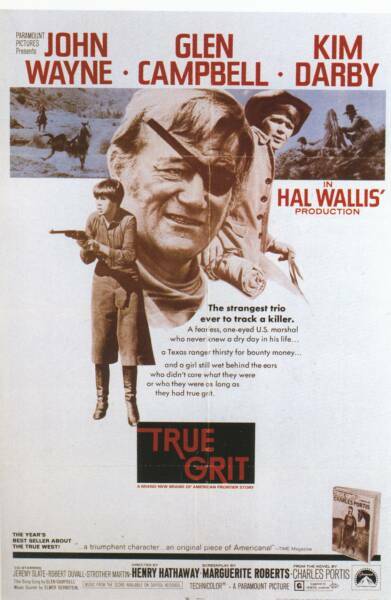 In the 1969 Henry Hathaway directed film, "True Grit," there is an entertaining scene early in the Academy Award-winning movie between John Wayne's character, Marshall Rooster Cogburn, his cat and a rat. As the scene opens, he introduces the cat, General Stirling Price, to Mattie Ross, played by Kim Darby. The cat was named after an actual Confederate general who's army was defeated by Union Gen. Samuel Curtis on Oct. 23, 1864 in Missouri. Wigwams and teepees are not the same thing. 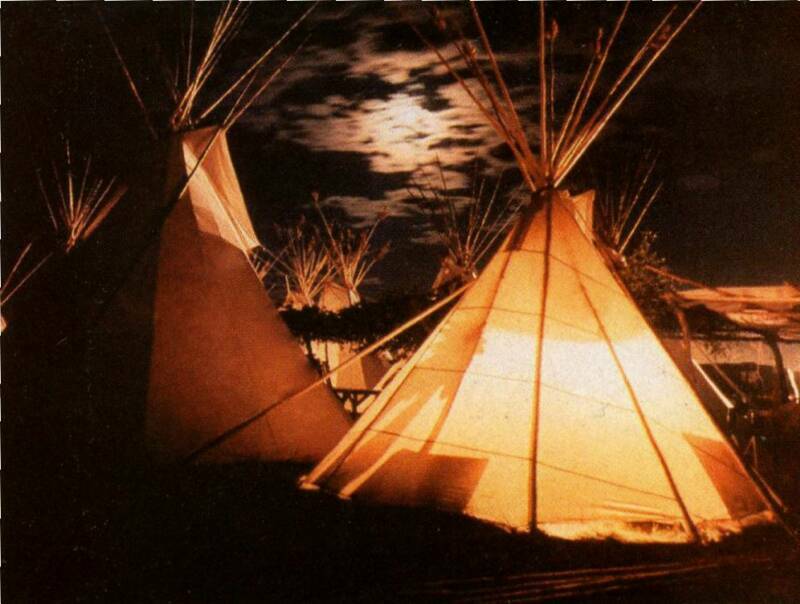 A teepee (or tipi) is the traditional tall, conical, and portable animal hide tent. A wigwam is dome-shaped, mostly made of wood and mud. To Lean More About Those Great Silver Screen Heros, Click Above! Despite movies and dime novels, there were fewer than 100,000 professional cowboys in the entire history of the United States. And, their ranks were quite diverse with an estimated five thousand black cowboys riding along side whites and Mexicans on the trails. On a typical trail drive, two members of an eight-man crew would be black. The cowboy's heyday lasted only about 25 years from the mid-1860's to the 1880's. During that time over ninety million head of cattle traveled the trails to market. Eventually, by the 1880's, some 1.4 million square miles - 44 percent of the country at the time - were covered by cattle grazing mostly on open range or free public lands. One of the most famous routes was the CHISHOLM TRAIL, which headed north from South Texas crossed the Red River into Indian Territory (now Oklahoma) and eventually ended nearly a thousand miles later in the tiny frontier town of Abilene, Kansas. Named after a mixed blood Scot & Cherokee hunter, scout and trader, Jesse Chisholm (1806-68) established the trail at the end of the Civil War almost by accident. He set off southward from near Wichita with a train of wagons loaded with goods for trade and followed the tracks left by the retreating Confederate army toward Olkahoma. He died in 1868 at his last camp near Left Hand Spring, Oklahoma and is buried there. 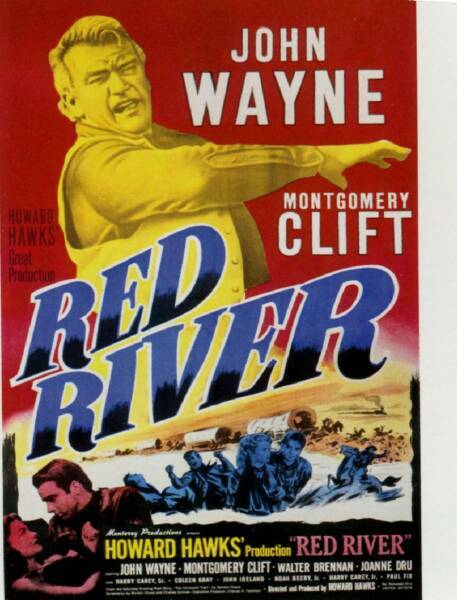 The Western classic, "Red River," (1948) directed by Howard Hawks, is a fictional account of the first cattle drive, in 1865, along the Chisholm Trail. Starting in late spring or early summer, a herd of cattle typically traveled about 15 to 20 miles a day. A trail drive from a distant ranch to railroad towns like Abilene, Wichita and Dodge City could cover a thousand miles and take a whole summer. Once they reached the railhead, usually, these herds of two to three thousand were driven right through the city streets to the corrals beside the rail station. During the early years, crowds would gather to witness the spectacle of cows and their DROVERS hitting town. Local proprietors knew that after being on the trail for so long the men would have a raging thirst for drink and female companionship. They needed to blow off steam and would soon have money to burn in their stores, saloons, brothels and gambling houses. A cowboy's average pay? $1 a day. Cowboys were called COWPOKES and COWPUNCHERS because that was literally what they did to get the cattle into railcars after being purchased. Using poles or sticks drovers prodded the cattle out of their pens in preparation for shipment eastward. People often ask us why we blanket our horses. Horses are adapted to remain comfortable in temperatures as low as minus 20 degrees Fahrenheit because of their boiler-type bodies and the unique circulatory structure of their lower legs. A horse's winter coat traps air next to their skin, where it is warmed by his body heat and serves as efficient insulation. Since we body shave our horses, there isn't that thick hair to protect them from the COLD winters of Southern California. While a small horse blanket might measure 72 inches, a draft horse's blanket can be as long as 112 inches. A POWWOW was originally a Native American drug-enhanced religious cermony. It comes from the Algonquin Indian word powwaw meaning "he dreams." Every wonder why cowboys wear what they wear? Well, there are serious reasons and functionality to our dress. I hear some of the most ridiculous reasons for why there's fringe on jackets and chaps from shooing flies away to using the fringe as string. Well, the real reason is, Indians, mountain men and cowboys who lived and worked outdoors in the weather, wore these on their clothing to help wick the water off their clothes so that it would not soak into their jackets or chaps. In the early settlement days of the Americas, when the urge struck, a man had to pull down his breeches and stand there with his pants around his ankles, vulnerable to attack by Indians. The invention of the fly by Giuseppe Wrangler changed all that. A cowboy could hold his gun in one hand and still take care of business. Cowboys were saved a lot of injury by the invention of snap shirts. In the 18th century, people were serious about buttons. They were big, made of cast iron or elephant tusk and sewed on with rawhide. They were meant to stay buttoned. But, when a big steer stuck his horn under a bulldogger's shirt, it was like putting a handle on a cowboy. That steer could pick him off his horse and sling him onto ground and possibly stomp him. If a saddle bronc rider hooked his shirt over the saddle horn, he was there for the whole ride, like being hooked to a paint shaker. The buttons held. So, snaps on the cowboy's shirt let him escape.